SNMP Explorer (SE) is a tool that enables you to easily browse the Management Information Base (MIB) exposed by systems with SNMP agents. SNMP Explorer extracts or "walks" the MIB of a selected SNMP agent system and creates a structured view of the agent's MIB. A tree view of the MIB allows quick exploration of the MIB to locate objects of interest. The current value of MIB objects are displayed along with object descriptions. You can also view the MIB in a one dimensional list for a visual scan of the entire MIB. Once loaded, the object values can be updated with a click of the mouse. 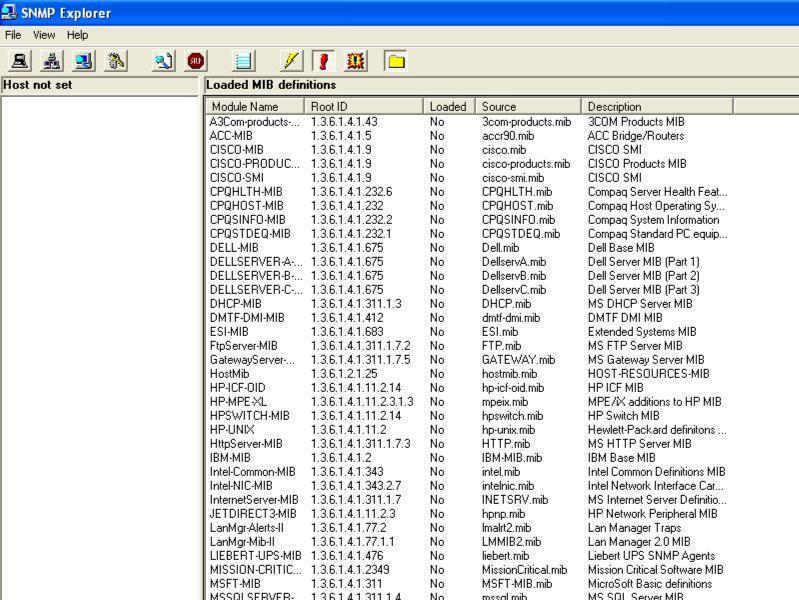 SNMP Explorer can also act as an SNMP Trap manager. In this mode, SE listens for and receives and logs any traps sent to the system on which SE is executing. Traps can be displayed along with descriptive information. Website checker utility monitors performance status of websites and web based application and reports errors like site is accessible or not, loads improperly, excessively slow, online or offline, uptime or down time or having some other problem. This site does not contain serial number, crack, keygen SNMP Explorer serial number : serial number is the simplest type of crack. A serial number(cdkey,product key,etc) is register the program as you may already know. a crack or keygen may contain harmful software. If you cannot find the exact version you want, just give it a try. for more information read .nfo/.txt/.diz file include in zipped file.